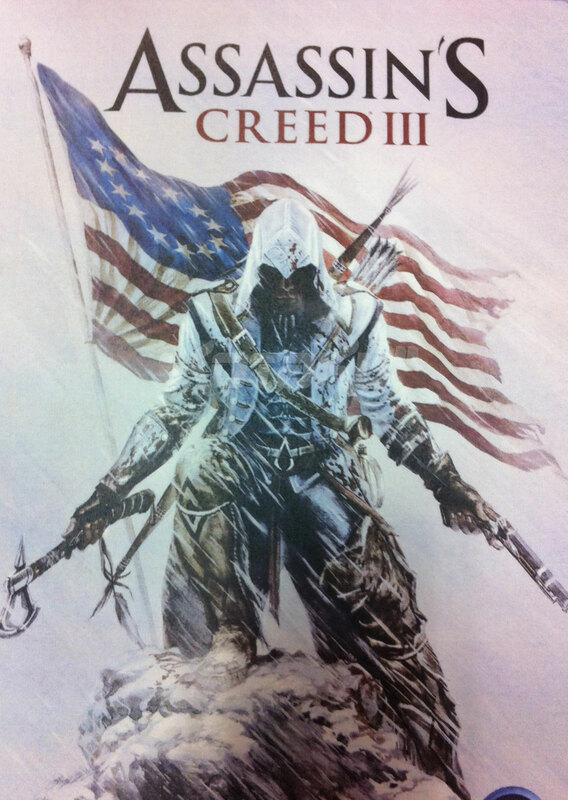 Assassin's Creed III Protagonist To Star In PS Vita Version? 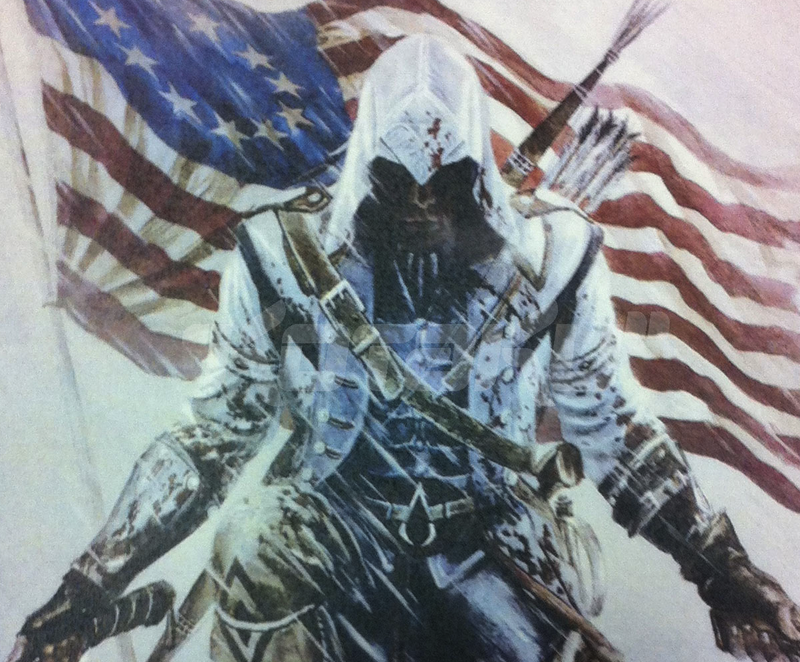 Is This the Star of Assassin’s Creed III? [Update] Well, this is interesting. A Best Buy worker just emailed us two images snapped from their employee news section. 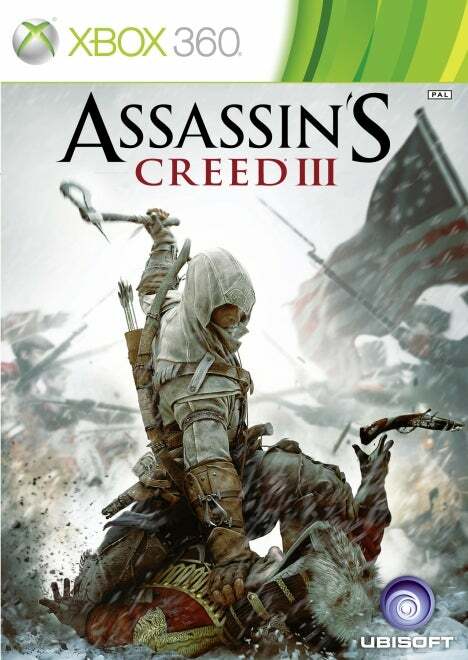 One shows that Ubisoft will be unveiling Assassin's Creed III on March 5, and that there'll be pre-order bonuses to be had. Whatever. The other is a shot of what they say is the game's promotional art. Featuring what may well be Assassin's Creed III's star. If this is legitimate, and remember, this is completely unconfirmed, it appears that the chatter placing the third game in the series in the American Revolution is spot-on. 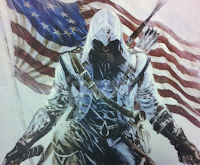 In the background is the original Continental flag, the Assassin is wearing an 18th-century military jacket and from his weaponry, jewellery and resemblance to actor Wes Studi he appears to be Native American. Or at the very least half-Native American. Now my thoughts. Personally I think that the character is real, rumours of a native american setting have been around for a while. The reason I think that he is also the character for Assassins Creed PS Vita is because introducing a new character is difficult, trying to add an entire characters backstory in a single game is very hard to achieve, which is why I think Assassins Creed PS Vita will add onto the story about the new protagonist, similar to Assassins Creed Bloodlines on the PSP. Let us know what you think of Assassins Creed PS Vita in the comments below!